Valley picked up a road SOC II win over Northwest, 65-55 in a road trip to McDermott Friday night. The Indians were led in scoring by Tanner Cunningham and Mason Zaler who each finished with a game high 16. Northwest’s Timmy Emmons and Chase McClay led the Mohawks in scoring with 14 apiece. No stats were available for Wheelersburg’s win over West. With this win, the Pirates wrap up the SOC II race and will finish as outright conference champions. The South Webster Jeeps fell in a road trip to Oak Hill, 55-54. The Jeeps were led in scoring by Shiloah Blevins who finished with a game high 20 points, as well as Braden Bockway who finished with 19. Mason Darby led the Oaks in scoring with a team high 15. 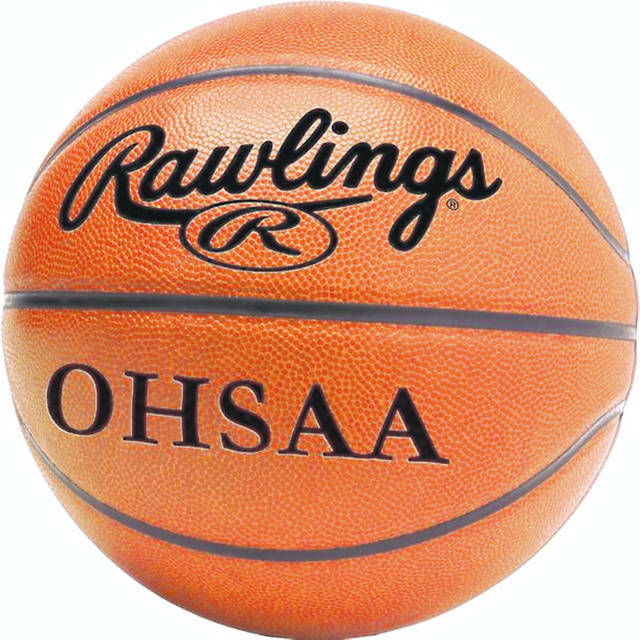 In an SOC II contest, Waverly (14-7, 9-3 SOC II) outlasted Minford by a three-point margin. The Tigers were led in scoring by Easton Wolf’s 13 points while both Cobe Marquez and Cody Remington added 12 apiece. For Minford (6-13, 5-8 SOC II), Kelton Kelley scored 16 points while Darius Jordan finished with 13. Minford: 21 FG, 11-15 FT 5 3pt. (Kelley 1, Vogelsong-Lewis 1, Jordan 1, McCormick 1, Crank 1). Scoring: Kelley 16, Jordan 13, Dalton 10, McCormick 9, Crank 7, Vogelsong-Lewis 3. Waverly: 25 FG, 6-11 FT, 5 3pt. (Marquez 2, Remington 2). Scoring: Wolf 13, Marquez 12, Remington 12, Dunn 9, Robertson 7, Smallwood 6, Shoemaker 2. Portsmouth travelled to face the Gallia Academy Blue Devils Friday night and fell short, 55-37. Matthew Fraulini had a team high 15 points in the Trojans loss on Friday. GA: 18 FG, 4 3PT, 10/12 FT.
East (4-14, 2-9 SOC I) picked up its fourth win this season with a 14-point victory over Notre Dame. Leading the Tartans in the win was Kyle Flannery with 22 points while Will Shope had 10. For Notre Dame (1-16, 1-11 SOC I), Ben Mader scored 16 points and Caleb Nichols had 12. Notre Dame: 14 FG, 6-14 FT 7 3pt. (Mader 4). Scoring: Mader 16, Nichols 12, Clark 7, Kammer 3, Harrell 3. East: 16 FG, 19-22 FT, 4 3pt. (Flannery 2, Hollow 2). Scoring: Flannery 22, Smith 12, Shope 10, Hollow 8, Carver 2, Coyle 1. No stats were available for Clay’s loss to Symmes Valley. The Titans (20-1, 14-0 SOC I) had little trouble with East (1-16, 0-12 SOC I) Friday evening, winning by a 38-point margin. For the senior class at Notre Dame, this marks their 4th straight SOC I title, including an incredible 56-0 in SOC I play over their four years of play. Leading Notre Dame in scoring was Katie Dettwiller, with nine points, while Taylor Schmidt had seven. In total, 14 different Titans graced the scoring column. For East, Grace Smith had nine. Notre Dame: 24 FG, 8-17 FT 5 3pt. (Schaeffer 2). Scoring: K. Dettwiller 9, Schmidt 7, Schaeffer 6, Creech 5, Cassidy 5, Hassel 5, Ch. Dettwiller 5, Hash 4, Cl. Dettwiller 4, Zheng 3, Smith 2, Holtgrove 2, Campbell 2, Collins 2. East: 9 FG, 4-8 FT, 1 3pt. (Johnson 1). Scoring: G. Smith 9, F. Smith 4, Johnson 3, Rosenagle 2, Osborne 2, Hunnicut 2, Escamilla 1. The Green Bobcats picked up a road win over Rose Hill just three days prior to the start of sectional play, 63-48. Freshman guard Kasey Kimbler led the Bobcats in scoring with a game high 21 points followed by Kame Sweeney who finished with 16. Rose Hill: 15 FG, 3 3PT, 15/23 FT.